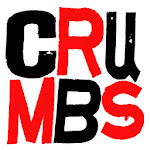 You are going to be missing your CRUMBS fix very soon, unless of course you are reading this in Europe, in which case you are just about to get your fix. But, if you are in fact reading this in Winnipeg, you must get your fix in NOW! CRUMBS are doing two more shows in Winnipeg before going off on their annual Euro Touro. CRUMBS first hopped over the pond to do a show in Europe in 2001, here we are in 2011 and CRUMBS has gone over there to do shows every year since that first amazing Berlin International Improv Festival. This will be the last CRUMBS show at the King's Head Pub until the Winnipeg Fringe Festival July 13-24th. We will be playing with Dj Hunnicutt as usual, and we will be doing some sort of hilarious improv set as usual. The FREE LAUGHS comedy show that runs every Tuesday at the King's Head will continue doing shows with Outside Joke taking the place of CRUMBS for all your improv needs. This will be the infamous "Berlin or Bust" improv fundraiser show at the Gas Station Theatre. We will be performing with Dj Hunnicutt on our home turf one last time before jumping on a plane to tour Europe. This is the 10th ever "Berlin or Bust" show we have done. It is amazing to think that CRUMBS has toured Europe for a decade, but it seems that math and history point to this truth. Click on the link for all the schedule information on how you can best stalk CRUMBS as they tour Europe.